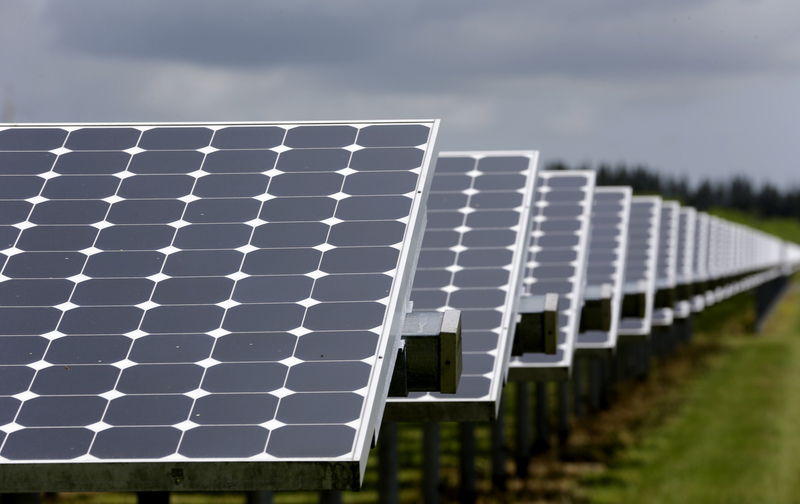 Will Florida Voters Be Duped Into Killing Solar Power? A Florida ballot initiative is written in pro-solar language—but its actual meaning is far more sinister. In late October, singer-songwriter Jimmy Buffett—decked out in his signature baseball cap and aviators, scenic beach at his back—posted a video on YouTube for his Floridian fans: This November, be like him and vote “no” on Amendment 1. He held up his index finger for emphasis, then he repeated it in Spanish. Amendment 1, or “Rights of Electricity Consumers Regarding Solar Energy Choice,” sounds reasonable—it’s hard to argue against a person’s right to choose. But critics are calling the amendment’s bluff: As written, it could achieve exactly the opposite, instead making it impossible to choose solar in Florida. Amendment 1 would add a section to the state constitution protecting the government’s right to “ensure that customers who do not choose to install solar are not required to subsidize the costs.” Legally, it opens the door for everything from charging extra fees every time a solar household uses traditional electricity (that is, at night), to dissolving a state program, called net-metering, that makes solar affordable by giving users credit for the excess energy they generate. Critics say Amendment 1 stands to destroy solar energy in Florida, and they have reason to think so—similar bills in other states like Nevada have brought the industry to a grinding halt. That’s not surprising: Amendment 1 was introduced by Consumers for Smart Solar, a group made up almost entirely of utility companies that have spent close to $26 million trying to get the initiative passed. But the opposition to the amendment has gathered steam, in part because of an unlikely alliance: Tea Party conservatives and progressive environmentalists have come together to fight Amendment 1 as part of a group called Floridians for Solar Choice. “Deception cuts across all of the political spectrum,” said Stephen Smith, executive director of the Southern Alliance for Clean Energy and a Floridians for Solar Choice board member. “People want truth. They don’t want to be misled, and they don’t like heavy-handed bullies like the utilities in Florida.” The Libertarian Party of Florida, the Republican Liberty Caucus, and many of the grassroots groups represented by Florida’s Tea Party Network have all signed on to Floridians for Solar Choice. With days to go until the election, the amendment’s fate is still unclear. An October 26 poll showed that 26 percent of voters are undecided on the measure. Floridians have been understandably confused by the initiative’s vague and seemingly pro-solar language. And supporters—including the Florida NAACP, the National Black Chamber of Commerce, and Honduran-American Chamber of Commerce, among others—are lobbying hard that Amendment 1 protects both solar users and abstainers. Without the amendment, they argue, non-solar houses are bankrolling solar houses: When solar users do not generate enough energy, they tap into the state’s electric grid, paid for by people who still rely on it. It’s a concern that rings particularly true for low-income communities, where consumers may not see themselves making the already expensive leap to solar, and thus worry about having to unfairly pick up the slack for affluent households who can. Though studies show that moving to solar benefits the whole community, utility companies profit off the fear that environmental initiatives disproportionately benefit the affluent while forcing lower-income households to take the economic hit. Leveraging this fear, energy companies siphon money into political organizations advocating for communities of color, claiming to be on their side and armed with their own studies that seem to prove their point—even though the studies have been largely debunked. In turn, the political leadership rallies behind pro–traditional energy legislation. This is not always the case—many organizations, like Oakland-based Green for All, exist to target the needs of low-income communities of color while championing environmental causes—but in Florida, it appears to be exactly what has taken place. The National Black Chamber of Commerce, for example, is primarily funded by energy companies, including ExxonMobil and Koch Industries. Its president and CEO, Harry C. Alford, frequently testifies to Congress that clean-energy policy is harmful to black communities. Similarly, according to an Los Angeles Times report, the Florida chapter of the NAACP has taken donations from utilities, though they have not disclosed the amount. The Florida State Hispanic Chamber of Commerce, which has also endorsed Amendment 1, includes among its trustees a joint venture of energy companies looking to bring a natural-gas pipeline to Florida.